Philip Currel and grete Nybakken as Jørgen Tesman and Hedda Gabler. 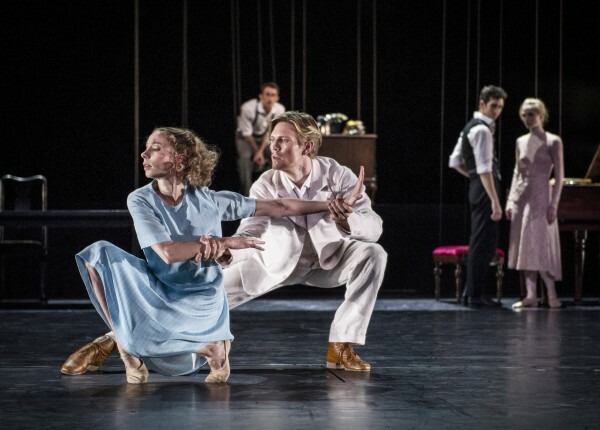 OSLO/NORWAY: Hedda Gabler by Marit Moum Aune based on the famouse Henrik Ibsen novel, with the Norwegian National Ballet, premiered 28. Sept. 2017, was interesting, following well up ms. Aunes Ghosts, also based on one of mr. Ibsens other novels. It is very demanding for the dancers, with the splendid Grete Sofie Borud Nybakken in the demanding titelrole. The Norwegian National Ballets production of Hedda Gabler has a potential that she has no way to fulfill, hold back by her surroundings society and herself. The company Hedda Gabler has its point of departure and disappointment. Moon Aune believes disappointment is what makes Hedda mean. Little Hedda is raised as a boy by her father, the general . danced by Kristian Alm, and when she grows up to find that she is in no way enjoying the freedoms she has expected, well, then the end is fatal. Possessing unfilled potential is simply dangerous, In this way Ibsen accentuates and cautions agains something human, repeated time and again in the history. Silas Henriksen and Klara Mårtensson and Silas Henriksen as Diana and Eilert Løvborg in a brilliant demanding contemporary pas de deux in the second act. “Will you not try to – to do it beautifully?” Hedda Gabler asks of Eilert Løvborg, excellent danced by the outstanding Silas Henriksen, as she is directing his suicide. Even in the face of the face of death she is an aesthete. These demanding parts between these two dancers is brilliantly and full of feeling performed by Grete Sofie Borud Nybakken and Silas Henriksen, they are incomparable. The same we notice in Nybakkens cooperating with Philip Currell as Jørgen Tesman. They are not only masters of steps and technique – they are artists through and through. They have studied the text, improvised, danced, constructed their characters, and exploited their potential, and what we see now is the great result, they have reached the common goal together with all the house to a new success for the Norwegian National Ballet. As Marit Moum Aune mentions in the program: “You will be disappointed if you are expecting a straight, academic version of Hedda Gabler. Our version is not chronological – you should actually put away this program when the performance starts”. Shane Urton and Grete Nybakken as Assessor Brack and Hedda Gabler. – Unfortunately nearly all the important action happens in first act. Only the preparations for Eilert Løvborgs suiside is the main in the second act. Spite in excellent pas de deus parts, and good group work, but with inaccurate arm lines, second act is therefore unfortunately, to me, being 5-10 minutes too long. The leading characters is staged by Marit Moum Aune, who normally is stage director, she has in many productions through her long, more than, 25 years carriere, also been working with dancers in move, but she is not a choreographer. She has got brilliant assistance by a good balletmaster – Christopher Kettner, who know how to form the dance, through his ballet competence, she managed to get formed her dancing ideas. t is very demanding for the dancers, and they succeed well. However when you come to the large groups, often only with one of the main characters participating, it is another choreographer, Kaloyan Boyadjiev, from the Nationalballet company, who has been choreographing the groups, which functions well. That does, unfortunately, that we see two different choreographic styles, who are not having contact. In a way that can be positive, as we then understand where the main history is, and that the groups are outside the main history. 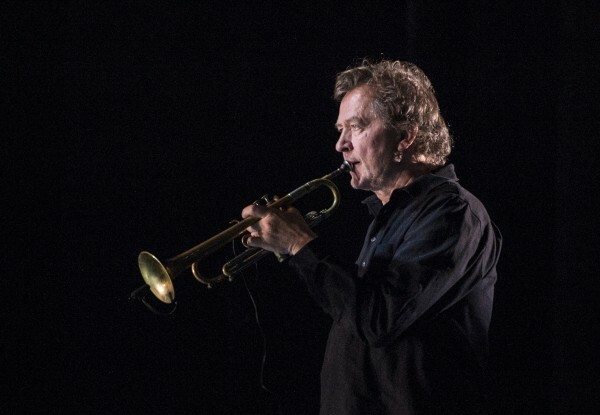 Nils Petter Molvær, composer of the music, and also playing solo trumpet in Hedda Gabler. The originally composed music by Nils Petter Molvær is having good start teams, he opens up each sequence with an interesting theme, often played by him self on trumpet on stage, then he develop this theme, and is after a while going in to a repetitive rhythmic idea, unfortunately, after a while i feel that in some sequences, i am starting to feel sleepy in the end, because of the repetitive sound system he uses, a lot in the same tempo. However the music is in a strange mysteries way building up to a climax. The Opera/Ballet house in Oslo has all modern possibilities to make great productions, and with the scenographer, Even Børsums talented ideas, the scenography is impressing, very good lighted up by Kritisn Bredal, who manage to give impressive light to underline well the history. Costumes by Ingrid Nylander are good. Samantha Lynch (in black) and Grete Sofie Borud Nybakken as Aunt Julle and Hedda Gabler. The dancers are doing outstanding jobs: Grete Sofie Borud Nybakken – in the titelrole, shows an extraordinary expressive and virtuose talent. Silas Henriksen is fantastic in his very demanding dance as an former, alcoholic, demander of Hedda – Eilert Løvborg. Eugenie Skilnand gives the role of Thea Elvestad the deepness that it needs. Philipp Currell as Heddas husband, Shane Upton as the family friend – assessor Brach, Samantha Lynch as Brachs aunt Julle, and Kristian Alm, general, as the father to Hedda. In front Eugenie Skilnand and Silas Henriksen as Thea Elvsted and Eilert Løvborg. Foto Erik Berg. Childrens: Erle Østraat as Hedda Gabler as child and Helle Flood as Thea Elvsted as child.